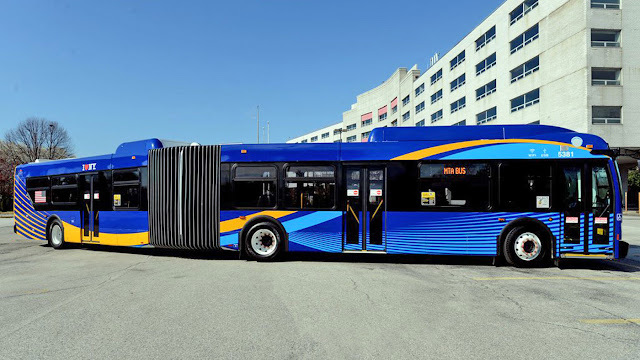 Using buses in New York is about to get busier, as the city has started rolling out the first wave of WiFi enabled buses. Although there will be just 75 buses rolling out this Summer in Queens, the plan is to expand it to 2042 buses spanning the entire city. One small thing is, though we (here in Portugal) look at the US as being far ahead in technological terms, concerning buses I'm sorry to say all our buses have WiFi for quite some time now (and using a portuguese developed mesh technology, where buses can help expand the network coverage). Now, just keep in mind that having internet access on the bus can also cause some unintended side-effects... should you miss your stop because you were too entertained playing some game or watching some video. Better create a geo-located notification to alert you it's time to step out, rather than be sorry.